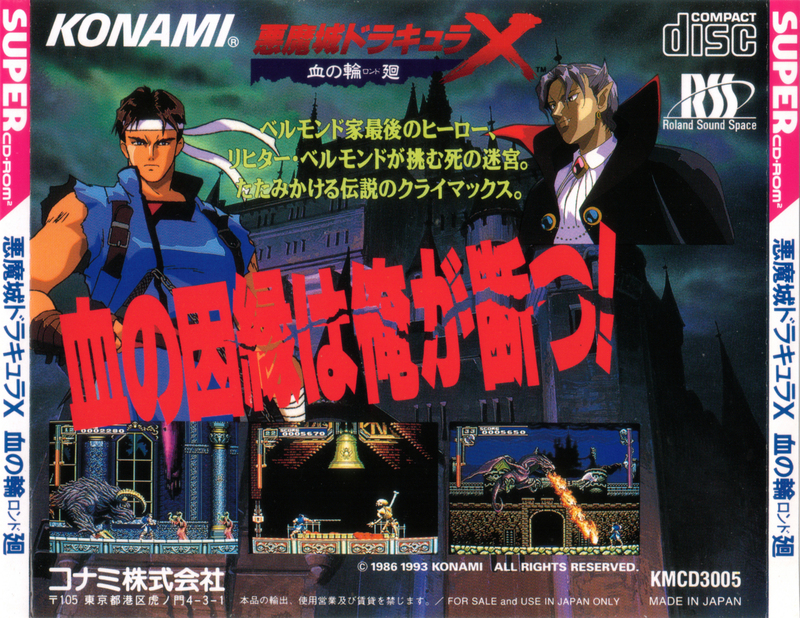 Taking the role of Richter Belmont, you set out to destroy the evil presence of Dracula. 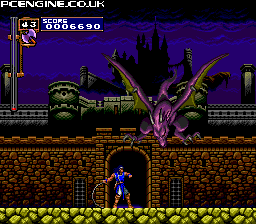 You make your way into Dracula's castle armed only with your whip - but along the way you can pick up secondary weapons, such as throwing axes, daggers and time-stop watches. Secondary weapons are powered by collecting hearts - each also has a super power that can be activated when you are really up a creek without a paddle. 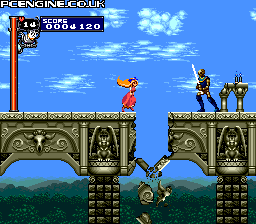 The levels are split into various sections and end with a boss fight. 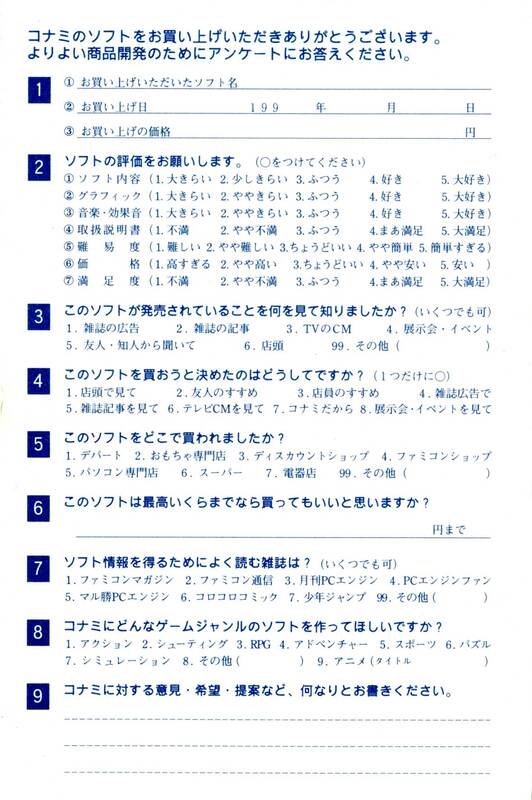 However, there are multiple routes through most levels that allow you to open up different areas to play - this means that you can complete the game without playing every level, giving the player incentive to replay to find all the secrets. 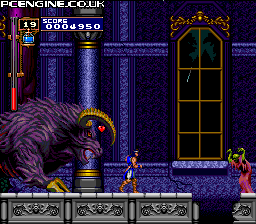 Dracula X is an action platform game of the highest quality. 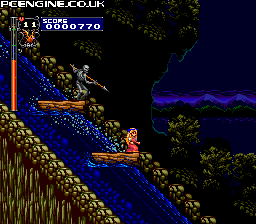 The visuals are superb throughout with some great parallax scrolling, huge sprites and atmospheric design. The music is also top notch with familiar tunes remixed well and some great new music too. The gameplay is balanced carefully - it's quite challenging in places, but practice always pays off without it getting too frustrating. 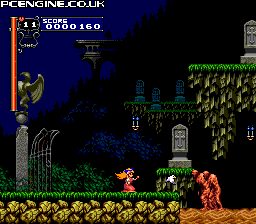 This game is highly regarded among both PC Engine collectors and Dracula/Castlevania fans alike - it is one of the finest entries in the series (before it took on Metroid-style gameplay) and an essential purchase. 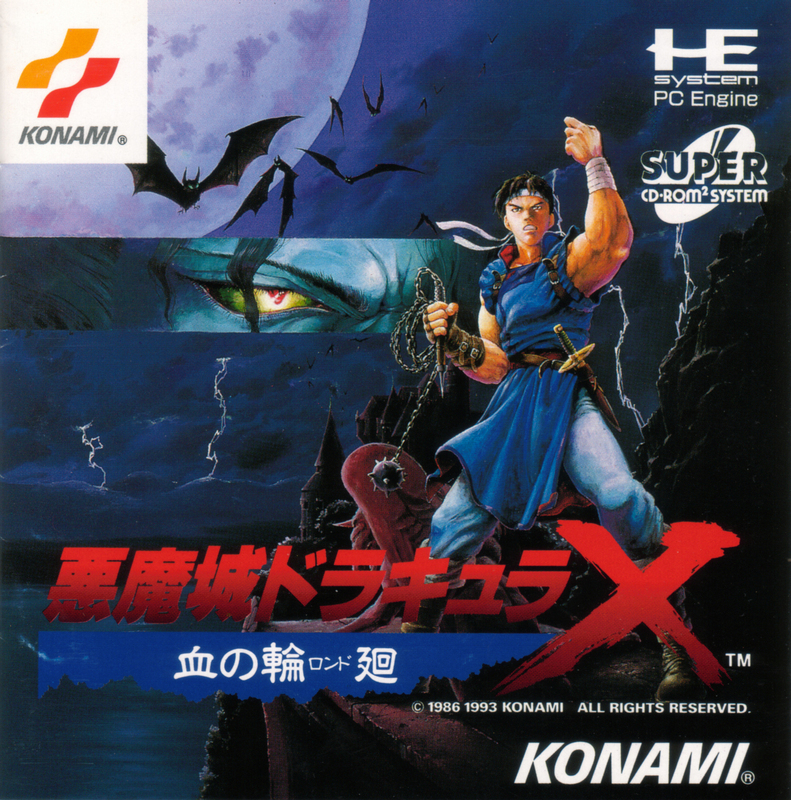 Dracula X is well known as one of the best - if not the best in the "traditional" Castlevania series, the more linear style of gameplay rather than the "metroidvania" style that debuted in Symphony of the Night. 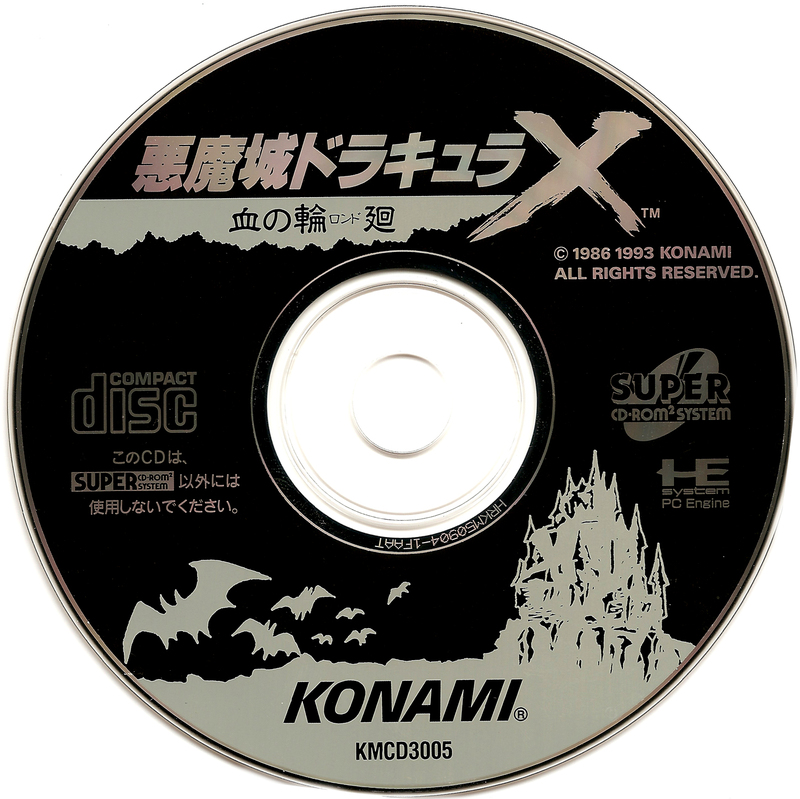 Konami really went to town on this game, from the excellent opening cinematics, to the fantastic "stage 0", everything about this title screams quality. 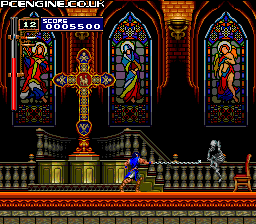 The music is up to the usual Castlevania excellence, the sprites are often large and well designed, and the controls are spot-on. 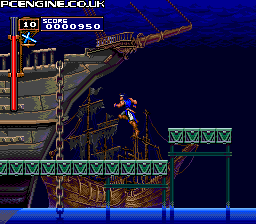 The complaints about this game are usually that it's too easy (which bear in mind, the 8 and 16 bit Castlevania games are usually considered quite difficult) or that it lacks something compared to Super Castlevania IV - also a fantastic title, but an altogether different game. Personally, the only thing I'd change about it is I'd like the background flame effects to use the same type of distortion effect seen in Gate of Thunder. I love everything about this game, the controls are precise, but more than anything it's just enjoyable. You want to keep playing it, you want to hear the music, see the next boss, it's just so good. 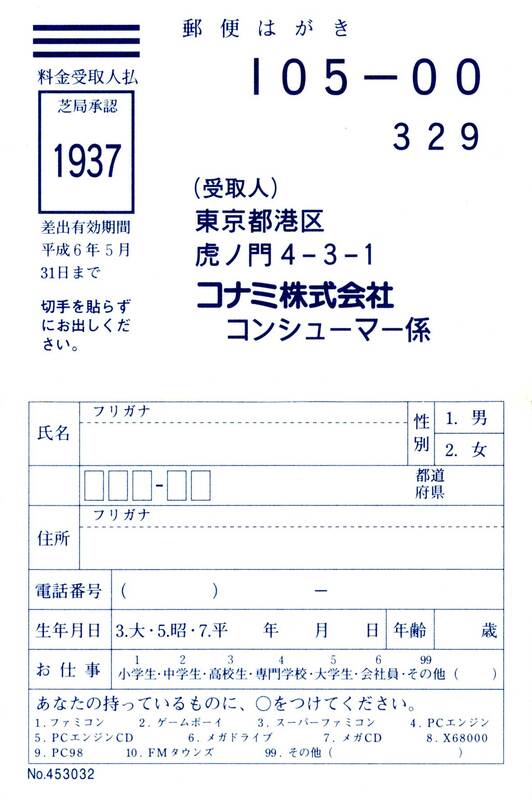 And I quite like the fact that it's not super difficult. There's a good reason this game has a stellar reputation, and it lives up to it. 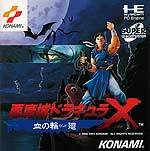 WARNING: There was only one release of Dracula X on the PC Engine. 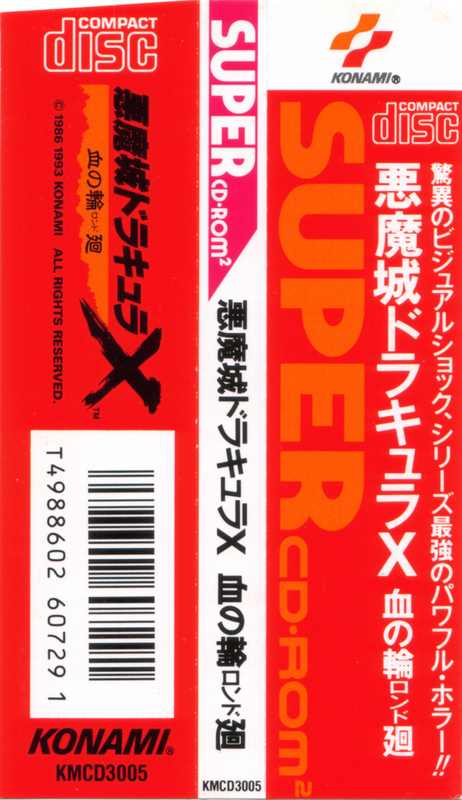 Any 'special editions' or 're-releases' for sale are illegal bootlegs.